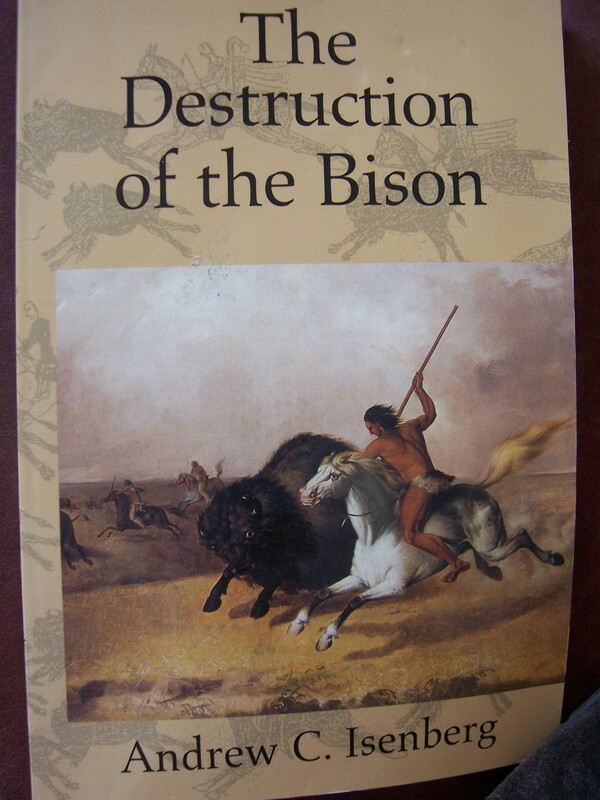 Contrary to popular belief it wasn’t just the greedy European Americans who led the bison to near extinction. As much as ecological romantics would like to have us believe that before the white man came the Indians and all of God’s creation lived in peaceful harmony, the evidence does not back up the claim. The Plains Indians and the volatile environment of the Plains itself most likely played a far larger role in decimating the great herds of the 1800’s than previously thought. Archeological kill sites show that long before the white man came there were periods of time where bison kills were absent suggesting catastrophic declines due to disease, predators or climate change. The environment is not static, that is, it is constantly changing. Large mammals roamed the earth and when they went extinct they left room for animals like the bison to take their range land and thrive. The Indians, who in the not so distant past took to riding horses and hunting bison, often slaughtered large herds by sending them over cliffs and wasting much of the carcasses. Also, by keeping large herds of horses that competed with the bison for the same limited grassland resources the Indians strained both species. Estimates of bison herd sizes of the 1800’s were faulty since the herds gathered into enormous groups only during the summer rut. Counts were estimated in the summer leading many to believe there were huge herds everywhere, but that probably was not the case. While white men played their part especially in the trade of buffalo robes, etc, the Indians also engaged in trade, slaughter and poor land management. Whites, Indians and bison were victims of the harsh, unpredictable realities of nature. Indians had a unique culture before they became nomadic bison hunters and kept it despite the loss of their hunting grounds. Eastern groups of Euro-Americans organized the efforts to save the species and succeeded. My own little bison guarding my books. Your presentation of the elements leading to the extinction can prove both things: that it both was and was not the contribution of the “white people” that tipped the balance leading to the buffalo’s extinction. That’s what interests me. White people may have been the tipping point, but if we look at this in historical context and without the anti-white ecological bias we see a more complex system and history. People, all people, change their environments–as do different species of animals, changes in weather that happen for no apparent reason etc. When the Indians arrived they displaced other species. When the wolves had a good year other animals suffered. There are no innocent species. We’re all in this life and death game together. I like the illustration too–that bison was buff! 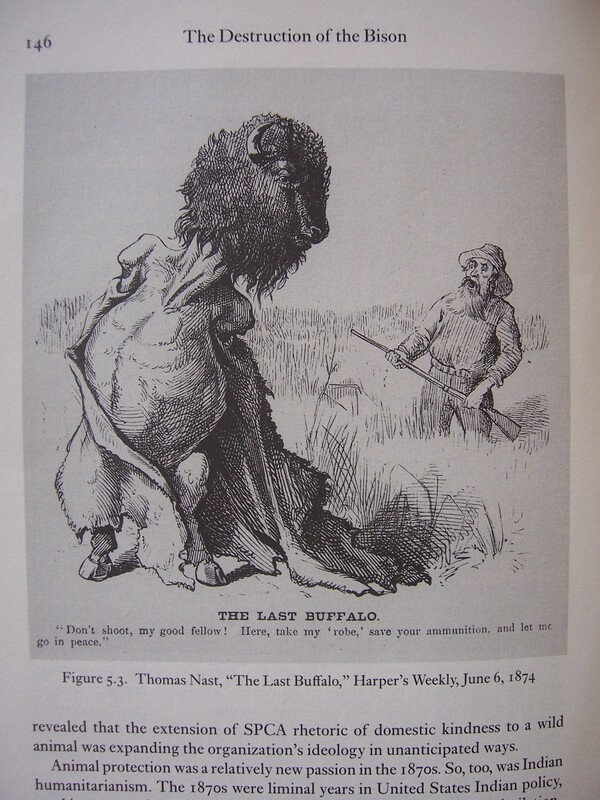 Without the inference of hunters, the railroad, settlers etc., the buffalo might have survived the vicissitudes of nature as they had for thousands of years. You explained this very well, although you are presenting a good case that the opposite is indeed what happened. I think the buff’s were delicate and less resilient to changes in their environment than their big brawny size would indicate. Poor buff’s they are beautiful, big shaggy beasts. Let’s hope they stick with us here on earth – nice to think of them still roaming around on the plains. Oh, give me a home where the buffaloes roam . . .
Reading more tonight, it seems some tribes refused to become nomads on horses because they saw that this specialization (hunting and trading only buffs) would make them weaker in the long run. But these stories are worldwide. Animals migrate and invade other places, so do humans and it’s usually because the place they left behind was being run by a stronger group. Even the Indians fought each other for land etc. I’ve always been partly drawn to the idea of the nomadic life, but I hadn’t realized that the Plains Indians had only been nomadic for a few centuries. 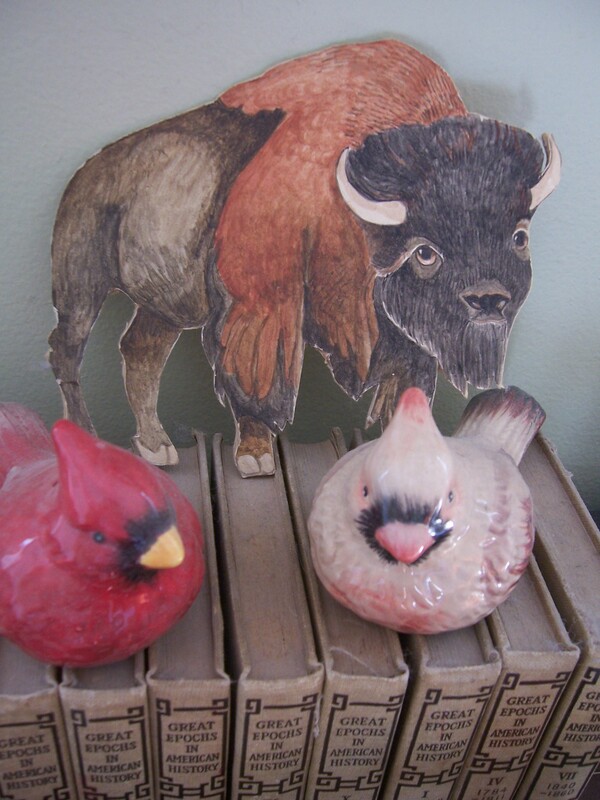 I LOVE buffaloes or bison or whatever we’re calling them these days. I enjoyed all this information, but more than that I like the was it was presented to me. Awesome! I think it’s difficult to gauge exactly just what the white man’s part in all this was. Take for instance the fact that the horse was originally introduced by the Spaniards, but are they to blame for changing an entire indigenous culture? Then there is the whole concept of monetary value – once the Indians realized they could turn buffs into money what was to stop them from indulging in wholesale slaughter? A complicated topic for sure, and one that draws no simple conclusions. But the long and the short of it is that simple human greed put an end to the great herds – a familiar and sad story, but part and parcel of our species phenomenally rapid ‘progress’. Thanks for your thoughtful response. I think in trying to elevate Indians into ecological and spiritual gods we blind ourselves to the realities of human nature. We often look back and mourn the loss of the nomadic way of life which was fraught with danger and hardship. By blaming whites for inventing better weapons and tools we are belittling Indians by assuming they somehow had no choice in the matter. We act like they were children or mentally deficient. As you rightly point out, they got caught up in the greed when it came to selling buffs and once that happened cooler heads had no way of prevailing. Also there’s a bit of Monday morning quarterbacking in history. We forget that people throughout the ages have been drawn towards new technology and material wealth (Indians included). Some people want to bring back horse-powered farming but forget how often horses were mistreated back in the old days. I agree. Human history is a soup – not a platter!